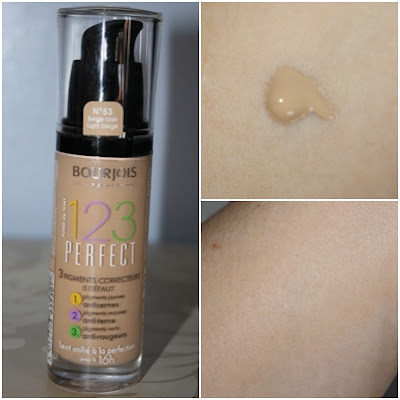 I fell hook line and sinker in love with the healthy mix serum foundation, i liked its coverage and it is my go to foundation until now, Bourjois have released a foundation that makes 3 very bold promises to correct all blemishes, uneven colouring and imperfections. I am the un-proud owner of all 3, the foundation contains 3 concealing pigments, yellow for a rested complexion, mauve to light up the complexion and green to eradicate high colour and uneven tone, It also states it lasts for up to 16 hours. 53 is a great shade match for my skin which is lucky as it does only come in 5 shades i cant help but feel this will put a dampener on the foundation for some people as it really limits who can buy it, fortunately i am a lucky one. I like the way it applies to the skin, i applied with my fingers as i am yet to come across a brush i get on with, the application was nice and smooth with a medium to heavy coverage. 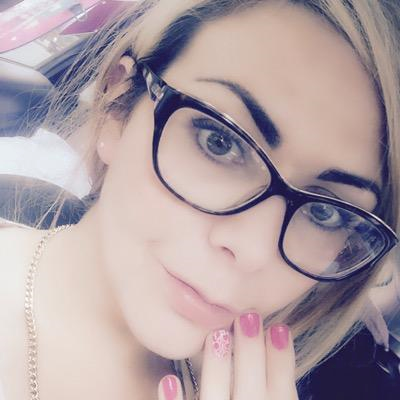 For me it revived my complexion my skin looked more even, my veins were hidden and my blemishes toned down, it also haves a SPF10 which is perfect for the up and coming summer. The foundation is slightly warmer than my skin tone, it left me with a lovely Dewey finish and i really the way it looks. You can see a clear improvement to the dark circle under my eyes, my skin looks fresher and more even. The foundation is available in boots in store and online as well as superdrug in store and online and retails at £10.99, i would be more than happy to pay this for this foundation as it gives me everything i could ask for out of a foundation. It lasted me a good day at work and onto the evening where it did start to need a little bit of a re-application. 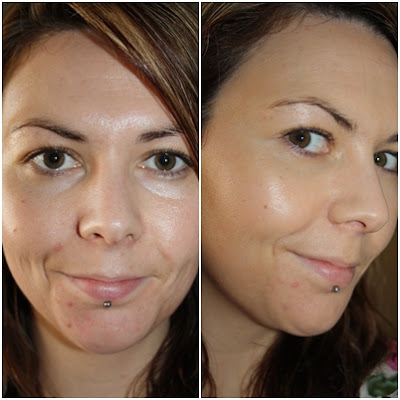 For a drug store product this is fantastic, the price is right and the coverage is spot on for me, this is a complete improvement from the bio detox foundation which i failed to get on with at all. Will you be rushing out to give it a try? or have you already tried it ? It looks to offer great coverage! I love Bourjois products but they've seemed to have stopped selling things in the USA which is slightly gutting. Wow I can see a clear difference in the after photo. I may have to try this out :) Great review! Maybe we can follow each other, sweet? this really suits you! you look lovely!